We make it easy to repair your crawl space vent cover by providing a free inspection and estimate. 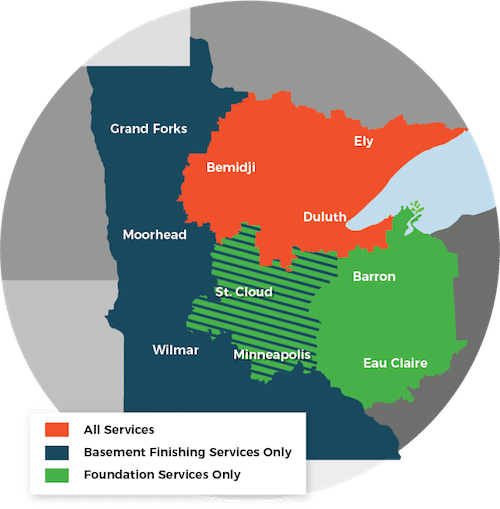 As Duluth Superior Area's trusted crawl space expert, we serve Superior, Duluth, Minneapolis and the surrounding area. Schedule an appointment for a free estimate with us today! The better answer for crawl space repair is a vapor barrier system. Call or e-mail DBS for a free crawl space quote! DBS services Superior, Duluth, Minneapolis and many nearby areas in Minnesota and Wisconsin.